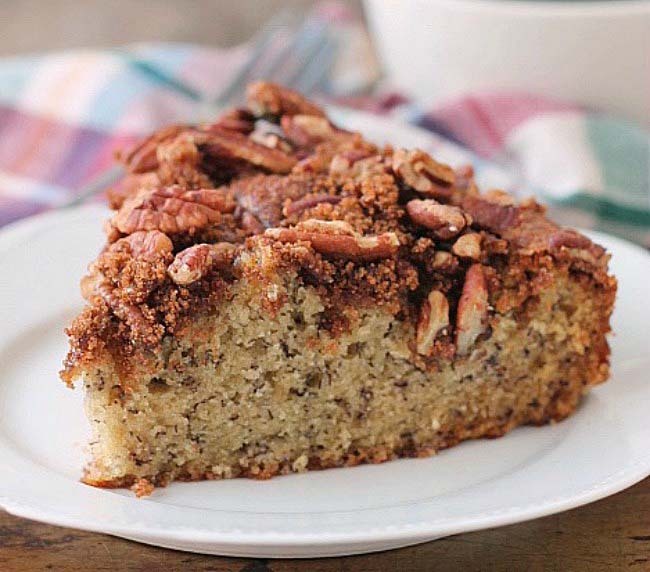 An easy moist delicious Pecan Sour Cream Coffee Cake with lots of crumb topping for breakfast or brunch. 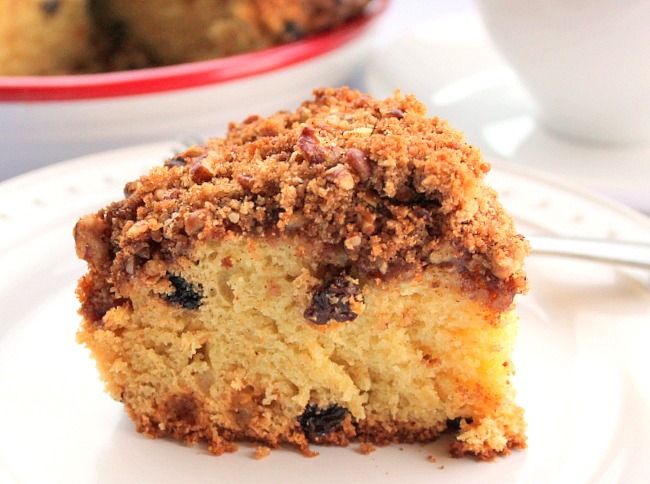 A crumb topping filled with chopped pecans (or any other nut you have on hand). A moist tender sour cream cake dotted with raisins is a keeper for an office treat, breakfast or a brunch. 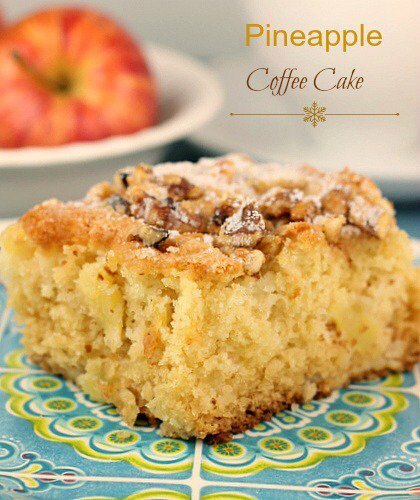 Make sure you bake this in a cake pan with high sides as it does rise up quite a bit. A square or round 9 inch glass baking pan would do just fine. In my oven this cake baked about 50 minutes. 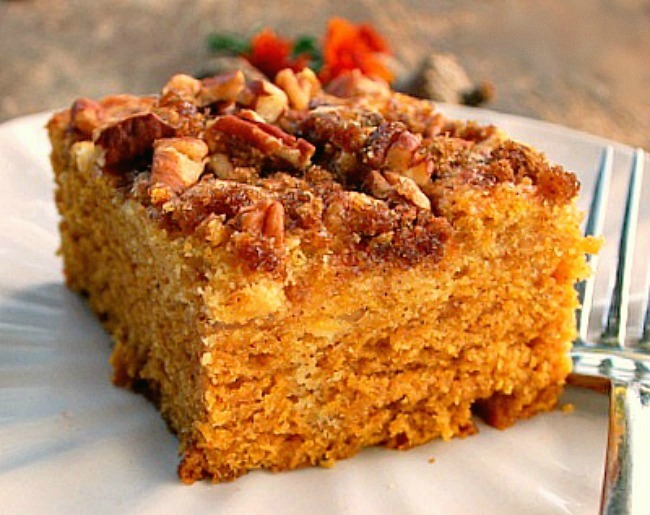 The generous amount of nut filled topping along with the soft, tender, moist sour cream cake makes for one delicious treat! Enjoy! Preheat the oven to 350 degrees. Butter a 9 by 9-inch cake pan. In a large bowl,beat the butter until creamy and smooth. With the mixer on low speed, slowly add the sugar and mix. Add the eggs and beat until light and fluffy. In a medium bow,sift the flour, baking soda, baking powder, and salt together. Alternately add the flour mixture to the butter-sugar mixture with the sour cream. Flour first, sour cream, flour, sour cream and finally flour. Beating only till ingredients are just incorporated with each addition. Stir in the raisins. Spread the batter into your prepared pan evenly. 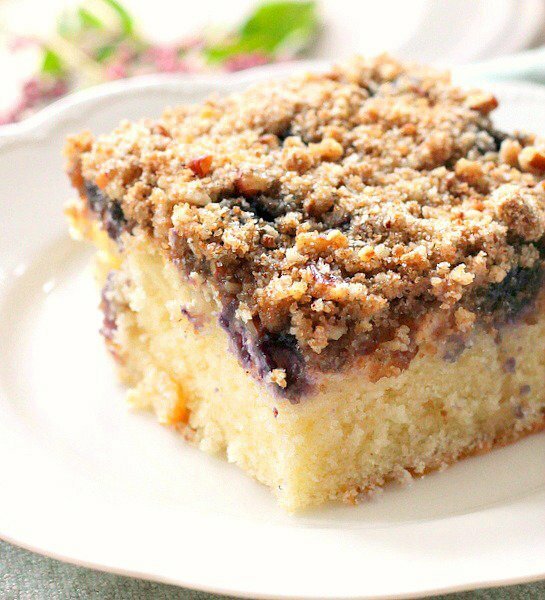 Sprinkle the crumb topping over the batter. Bake about 45 minutes or until the cake is risen and browned. Remove from the oven to a cooling rack. Cool to warm, serve. 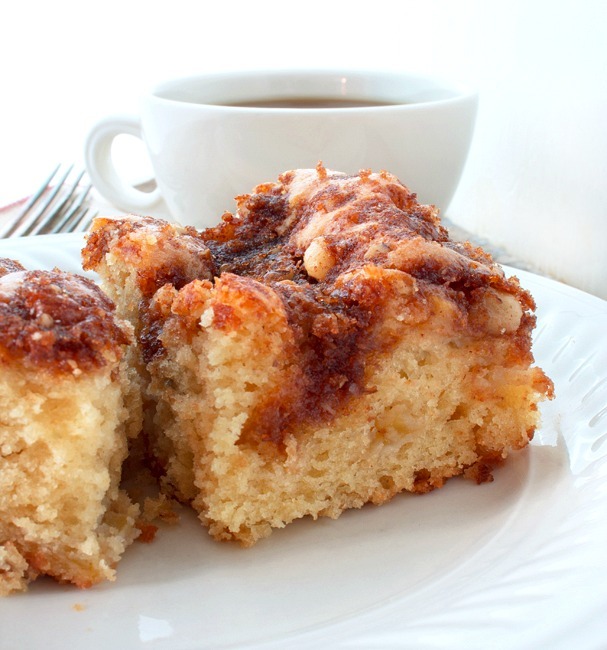 In a medium bowl, combine the brown sugar, flour, and cinnamon. Add the butter ,rub the mixture between your fingers until you have coarse crumbs. Add the pecans and mix. G’day! 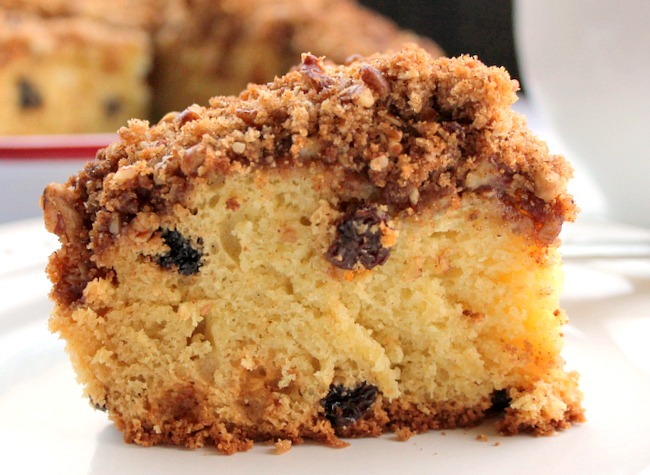 Who doesn’t LOVE a moist Coffee Cake? YUM! I could go for some right now! This looks so good. I have not had breakfast and I could sure eat this. Can’t make it yet since we are not home. Mira que rico se ve me gusta mucho el cafè ,impresionante,abrazos. Charlotte is so very moist, and the topping, YES the topping is delicious!